When the budget for Jeremy Clarkson, Richard Hammond and James May’s new car show “The Grand Tour” was announced as $160 million, fans of the trio’s old show “Top Gear” expressed mixed reactions. Most were excited about the possibilities that the enormous budget would unlock, but there was a pervading fear among fans that all the money might corrupt the trio. Now that the first season of the series has been released, those fears have partially been realized. While the season is not overflowing with over-the-top spectacles included simply to use up the large budget, the writing and production style of the series has been corrupted by the presenters’ greater flexibility. The three entertainers, who previously worked under significant oversight from the BBC, take full advantage of the incredible independence that their new bosses at Amazon afford them. The production of the new season was actually more constrained by the BBC than by Amazon. The presenters had to drop several of the gags and lines for which they are famous from the new series due to legal threats from their old network. In most cases, this change was not a significant issue. The new show was not hurt by the noteworthy absence of the “Star in a Reasonably Priced Car” segment that was a part of every episode of “Top Gear.” This bit, which many fans of the old show found to be boring and unnecessary, will not be missed. Due to legal threats from their old network, the presenters could not replace the Stig with another helmeted and silent driver; the new character needed to speak. The presenters used this opportunity to take clichéd jabs at Americans, using Skinner’s southern accent and NASCAR experience to make cringe-worthy jokes about America and its car culture. While some of the show’s gags fall flat in every regard, most are funny but get ruined by poor execution. The subpar execution stems from the unmistakable sense that every aspect of the show is scripted, down to the most minute details. The season’s first episode provides an excellent example of this failure in execution. When Clarkson declares that the British Royal Air Force is the greatest air force in the world, he triggers an unnecessarily long nationalistic debate with his American audience. The bit is funny at first, but as the producers drag it on it becomes dry and boring. To make matters worse, the artificial synchronization of the audience’s responses indicates that the bit was rehearsed to give it a sense of spontaneity. In the old show the gag might have been performed without rehearsal or, better yet, the presenters might have joked about the fakeness of the act. The bit far outlives its hilarity, worse yet it gives the viewer the impression that the producers and presenters are trying to make the bit seem spontaneous. This bit is the lowest point of the season, because in this moment the presenters seem to have lost the ability to laugh at themselves. The show is trying so hard to be real that it becomes fake. In this sense, “The Grand Tour” fails to hold a candle to its predecessor. The funniest parts of “Top Gear” were when the presenters simply bantered with each other. The old series staged entire road trips simply to inspire this banter, whereas the new series all but abandons it. “The Grand Tour” is, however, an excellent television show — it is as funny and as entertaining as any other series out there, and any viewer new to Clarkson, Hammond and May would love the new series. The problems with the show only arise when it is compared to its predecessor. Fans of Clarkson, May and Hammond can only hope that their beloved triad of presenters will take this reality as a challenge to equal or even surpass the greatness of the old show in future seasons. 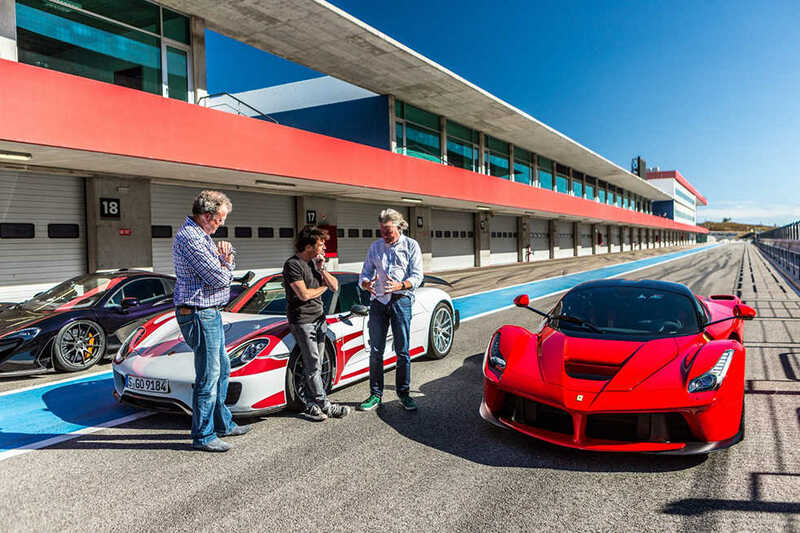 Though the first season of “The Grand Tour” was disappointing, viewers should give the show a chance. The season shows some promise in its final episodes, as the presenters seem to grow more comfortable and funnier in their new roles.